The other day I was out eating at a local sports bar. I happened to notice the dishware brought to our table was of different patterns. 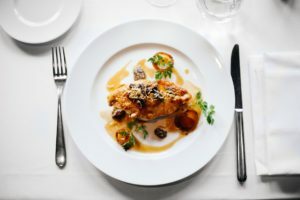 It seems that businesses do not fully realize the impression they are leaving on patrons by serving food on old mismatched, out-of-date dishware. Adding new dishware is a simple way of creating a new look for any restaurant, bar, deli, bakery, or pizzeria. Next time you feel you may need new dishware for your business, you’re probably right. Dishware is not costly and running low on dishware regularly happens in fast-moving restaurants where plates and dishes are easily broken. Check out Burkett and browse our complete line of quality dishware at a very affordable price.